Other available methods of payment take time. No registration is considered complete until full payment is received. We have MAJOR (previously called Senior) leagues and JUNIOR leagues. All fees are in US Dollars (USD). Qualified teams are organized by league. No major team can register after May 31, 2012. It is possible for both faculty and students to register as Symposium Only participant. In addition, faculty who do not have teams, but want to register for the competition can register as a non-participant. No prior registration of a team is required in these cases. These participants are invited to all social events, but may not enter team areas and do not receive a RoboCup-2012 certificate. No invitation letters are issued for Symposium Only participants or non-participants, unless the participant has an accepted publication in the Symposium. On the registration web site, choose ''Non-Participant/Symposium Only Faculty/Staff'' or ''Symposium Only Student''. b) Wire Transfer (USD). AVAILABLE ONLY UNTIL MAY 15th, 2012. Wire transfer and check should be used in exceptional cases only, and if credit card payment is not possible. Registration will be considered complete only if the amount due is received IN ITS TOTALITY IN US DOLLARS on the bank account on or before the respective date (e.g., April 30th for early registration). It is your responsibility to ensure that this will be the case. In order to help expedite the payment process, we ask that you please send your check number or wire transfer transaction information to april.robocup@gmail.com. Please note that wire transfer and check payments will be deactivated after May 15th, 2012. The preferred method of payment for registration fees is by credit card. Please use this method whenever possible. For participants who cannot pay by credit card, or where their institution requires some other method of payment, we offer payment by electronic wire transfer (details given below). Please note: We do not accept cash. All registrations must be pre-paid by credit card or wire transfer. Participants from some countries do require a visa for Mexico. An Invitation Letter will be sent to a team member once the team registration and the team member registration have been completed, i.e., payment has been received. 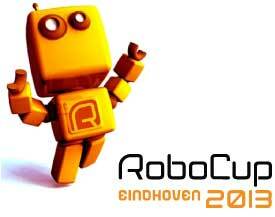 There will be no exceptions (http://www.robocup2012.org/participants_visa.php). - The full registration amount will be refunded, except for a handling charge of 100 USD per person, and 100 USD for the team if the team is also cancelled.